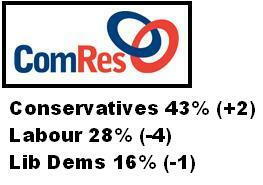 A ComRes poll for tomorrows Independent will no doubt add to Browns increasing troubles. It shows that his party’s share is down to 28%, which is the first time it has dropped below 30% in any poll from any organisation since the banking crisis began in September. When combined with the other recent polls, all showing Conservative double digit leads we are now returning to comfortable majority leads. These numbers will be even more disheartening for Labour considering they come from the same pollsters that only seven weeks ago had them just one point behind the Conservatives. As recent events have shown you need to be careful what you post online, especially on sites like Facebook. Online security is essential and you have to be weary of who your friends are. Iain Dale has posted that a Daily Mirror journalist called Carla Jones has been trying to befriend Tories in the hopes of uncovering another scandal like the Matt Lewis debacle that occurred earlier this month. This incident reminds me of last year when that other Mirror journalist tried to infiltrate CCHQ, but luckily she was discovered before could get inside and cause all sorts of damage. It seems the tabloid media will stop at nothing, and stoop to any level to bring the party down. You might say if you have nothing to hide you have nothing to fear, but this is an invasion of privacy obtained through deceptive means, which in my eyes is little short of criminal. 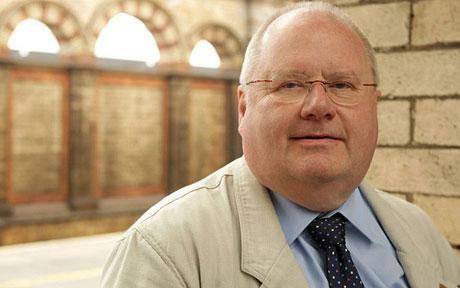 The Independent on Sunday has a very good piece about the new Party Chairman Eric Pickles, which is his first interview since his appointment to his new role. I am sure not many of you will have read the article so I have decided to reproduce a few extracts here. But while Crewe was a huge victory, I ask, the Tories hardly have great support elsewhere in the North. “Stop it. Stop it,” Mr Pickles interrupts, his usual jovial tone evaporating. 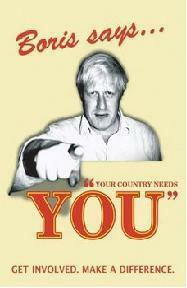 “Crewe and Nantwich killed one story: that Cameron’s brand does not run in the north of England. It does. Mr Pickles says he has never felt any “glass class ceiling” inside the Conservative Party in the 40 years he has been a member. The Tory party “does not believe in class politics”. Those of you who came to help out in the Crewe & Nantwich campaign could not have missed Eric, he was everywhere, marshalling the troops and organising the whole operation with military procession. When the Labour campaign could only muster 50 activists we had over 200 out on the streets. The scale of the victory in Crewe would not have been possible without Eric and his strategy. After many years of relative obscurity he has really found his calling, with Eric at the helm come the general election victory just seems that little bit closer. You are currently browsing the Leicester University Conservative Future blog archives for the day Sunday, January 25th, 2009.